Following our 2018 win of Innovator of the Year at the Better Business Awards, DPN has again been named a finalist. The Better Business Awards is one of the industry’s premier events for state-based performance. We’re shortlisted in two categories: Best Customer Service (Office) and Best Independent Office (5 brokers or less). 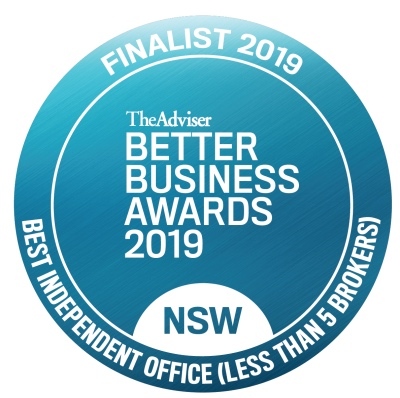 DPN has been shortlisted in two categories: Best Customer Service (Office) and Best Independent Office (5 brokers or less). “Our recognition for our approach to customer service reinforces the strength of the brand in connecting with the community and engaging with our customers,” said Sam Khalil, DPN’s Managing Director. In partnership with NAB, The Adviser Better Business Awards recognises individual and group excellence across 17 categories. Winners from the individual categories are automatically shortlisted for the coveted Broker of the Year Award. In addition, DPN will be in the running for the Editor’s Choice Award, which recognises an individual’s outstanding contribution to the broking industry. “This past year has been a trying one for the finance industry, but the finalists in this year’s Better Business Awards program demonstrate that support and excellence is in no short supply in the mortgage and finance industry,” said Annie Kane, the editor of the mortgage titles at Momentum Media. “The calibre of finalists this year is a testament to the invaluable services that the mortgage and finance industry provides to consumers. Sam Khalil said that he was humbled by the nomination. The winners will be announced at the state award dinners between 14 February and 14 March 2019.